You asked for it, so we made it (# 273): We’ve added our long-awaited Preview feature! 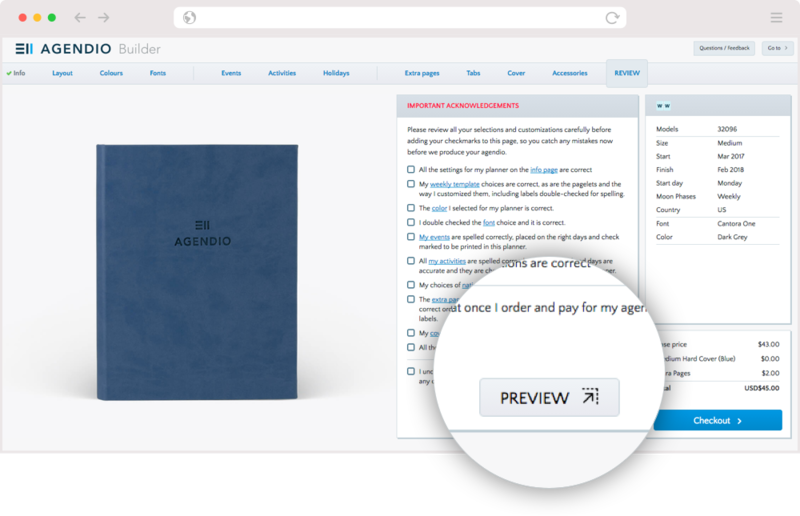 On the review page, click on the Preview button and you will see your planner on screen, starting with page 1. You can choose to Advance page-by-page or fast-forward. 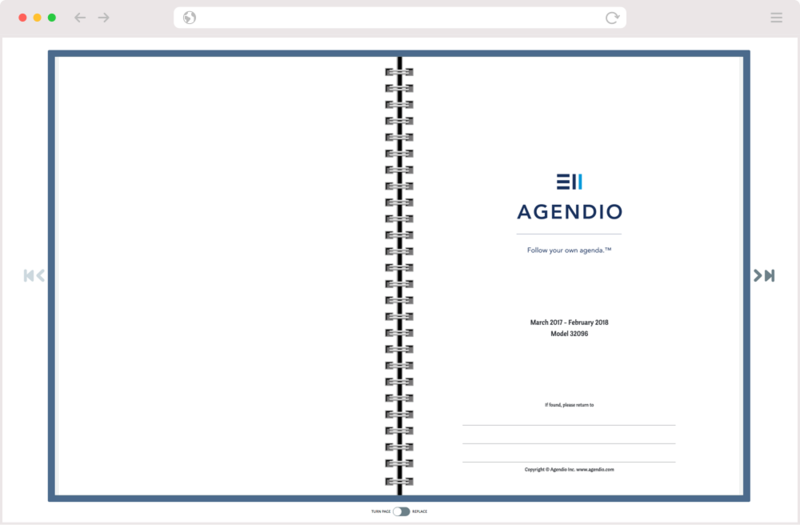 Check it out with an agendio you customized and let us know what you think of it.